Welcome to Royal Oak, Michigan…the city where downtown is the happening place to be. Located in Oakland County, Royal Oak is a suburb of Detroit with an existing population of 57,236. The city is the 8th largest municipality in Oakland County and the 27th largest municipality in the state of Michigan. The city has a total area of 11.79 square miles, all land. While most cities boast a downtown area for shopping or taking a leisurely stroll, Royal Oaks Downtown District is bursting with culture. Downtown Royal Oak has over 5.3 miles of sidewalks making it your ‘not so average’ town. You can spend theday lingering downtown and never run out of things to do. With over 70 restaurants and 85 boutiques, salons, and retail shops, the fun never ends. Spend the afternoon at the theater, or take in a comedy evening on a Saturday night. Royal oak is a pet friendly town so be on the lookout for pet friendly patios. After the sun goes down the city’s nightlife lights up with your pick of clubs, breweries, bars, and more. Add the downtown concerts, and events and it’s easy to see why more people are choosing Royal Oak as their home. With all the amenities how could you not want to live in a town where everything’s waiting for you? Royal Oak is a pet friendly town offering over 50 parks for the community. Location, location, location! Royal Oak is conveniently located near many freeways. Diverse city. Royal Oak has a diverse mixture of people, incomes, and age groups, attracting people from across the globe; making this city one of the most diverse in the state of Michigan. 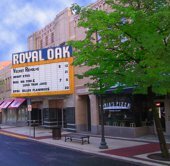 Royal Oak is full of culture with 4 theaters located in the downtown district. Royal Oak has a low crime rate. You can take the wolverine Amtrak three times daily in both directions between Pontiac and Chicago by way of Detroit. In 1821 Royal Oak was incorporated as a village, and in 1921 it became a city. The city earned its name due to Governor Lewis Cass’ surveying expeditions. A large oak tree in the area reminded him of the Royal Oak in which King Charles II of England used as a hiding place to escape the capture of the Roundheads after the Battle of Worcester. 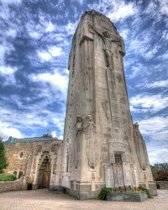 Father Charles Coughlin was the founder of the Shrine of the Little Flower in the 1920’s. Today the church is still a prominent landmark in the city. Father Coughlin raised the funds to build the church and the tower through his ministry where he aired his radio show. As time moved on Royal Oak became a hip nightlife destination, and since the 1990’s and 2000’s many large condominiums and lofts have been added to the area. The trendy downtown district of Royal Oak has experienced rapid development since the early 2000’s, offering an array of chic restaurants, shopping, and swank entertainment. In the downtown district alone there are nearly two hundred establishments you can choose as your next employer. 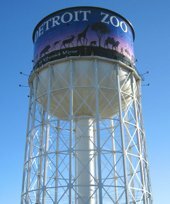 Royal Oak is also home to the Detroit Zoo and employs over 300 people from the area. Other major employers include the William Beaumont Hospital employing over 7000 people, The City of Royal oak with over 400 employees, Royal Oak Public Schools, Oakland Community college, Consumers Energy, Flex-N-Gate, Holiday Market, and H HI Form Tech. Royal Oak has been awarded “Tree City USA” by the National Arbor Day Foundation every year since 1976. Detroit resident Gilda Radner from Saturday Night Live started a free cancer support community in 1998 for people with cancer and their loved ones. Gilda’s Club is a three story non-residential home located in Royal Oak and has helped over 3000 members offering social and emotional support over the years. Royal Oak is part of the Royal Oak Neighborhood Schools. Shrine Catholic School and Oakland Community college are also located in Royal Oak. Due to lower enrollment levels many schools were demolished in 2007. Many parents tried to save the schools by signed petitions considering them as local historic landmarks. Unfortunately the signed petitions were not effective and the schools were torn down. The city of Royal Oak has maintained its small town appeal while offering diversity in an upscale community. The town is enveloped in culture and art and booming with endless possibilities for all who venture this way. What’s not to like about Royal Oak? This is the one town in Michigan where everything’s waiting for you!